The technologically tethered, iPhone-addicted figure is an image we can easily conjure. Most of us complain that there aren't enough hours in the day and too many e-mails in our thumb-accessible inboxes. This widespread perception that life is faster than it used to be is now ingrained in our culture, and smartphones and the Internet are continually being blamed. But isn't the sole purpose of the smartphone to give us such quick access to people and information that we'll be free to do other things? Isn't technology supposed to make our lives easier? 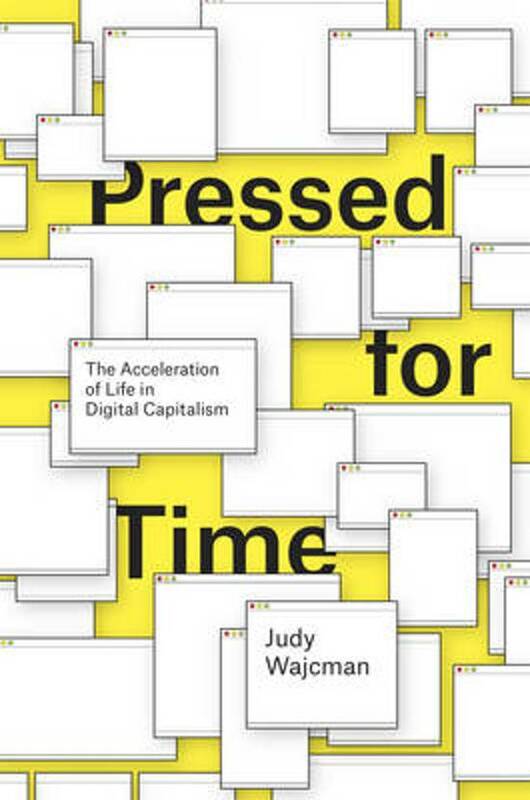 In Pressed for Time, Judy Wajcman explains why we immediately interpret our experiences with digital technology as inexorably accelerating everyday life. She argues that we are not mere hostages to communication devices, and the sense of always being rushed is the result of the priorities and parameters we ourselves set rather than the machines that help us set them. Indeed, being busy and having action-packed lives has become valorized by our productivity driven culture. Wajcman offers a bracing historical perspective, exploring the commodification of clock time, and how the speed of the industrial age became identified with progress. She also delves into the ways time-use differs for diverse groups in modern societies, showing how changes in work patterns, family arrangements, and parenting all affect time stress. Bringing together empirical research on time use and theoretical debates about dramatic digital developments, this accessible and engaging book will leave readers better versed in how to use technology to navigate life's fast lane.